At Callahan, Barraco & Inman, P.C., what matters to us is finding a solution that is right for you. We have over 40 years of combined experience helping people work through complex issues like divorce, child custody and alimony. Family law matters can be extremely stressful which is why we explain the process in a clear straightforward manner in terms you can understand. We Tailor A Strategy Specific To Your Needs Just as every marriage is unique, every divorce is unique. There is no cookie cutter way to get divorced. Simply because two people are dealing with the same issue does not mean they should be resolved in the same way. We approach every case with this in mind and develop a strategy tailored to your specific needs. During your free no obligation consultation, we will listen carefully to your concerns and what your goals are. Once we know where you are coming from it allows us to come up with a strategy to get you to where you want to go. Call us today. Efficient and Aggressive Legal Representation We know that your money and time are valuable. No matter what family law issue you are dealing with, it is our priority to help you resolve it effectively and efficiently so you can move on with your life. While some people prefer to work through their legal matter in mediation, others would rather take their case to court. We only practice family law, and we are in court every single week litigating family law issues. 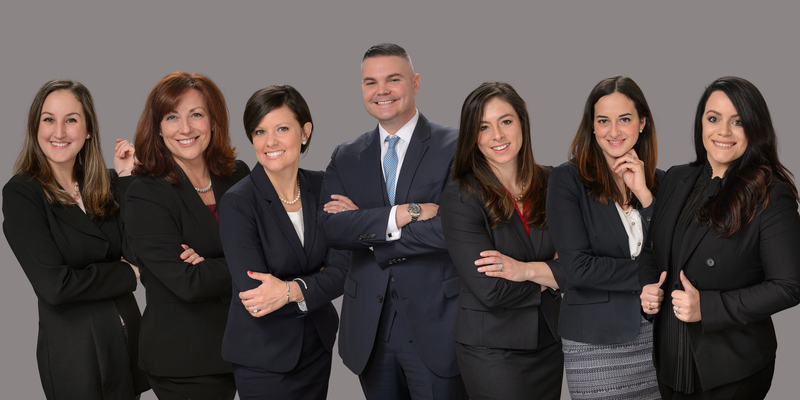 Schedule Your Free Consultation Today To arrange a free consultation with one of our Massachusetts, New Hampshire and Rhode Island family law attorneys, call our office today at 508-372-1200. We offer fixed fees for uncontested divorces as well as limited assistance representation. We Tailor A Strategy Specific To Your Needs Just as every marriage is unique, every divorce is unique. There is no cookie cutter way to get divorced. Simply because two people are dealing with the same issue does not mean they should be resolved in the same way. We approach every case with this in mind and develop a strategy tailored to your specific needs. During your free no obligation consultation, we will listen carefully to your concerns and what your goals are. Once we know where you are coming from it allows us to come up with a strategy to get you to where you want to go. Call us today. Efficient and Aggressive Legal Representation We know that your money and time are valuable. No matter what family law issue you are dealing with, it is our priority to help you resolve it effectively and efficiently so you can move on with your life. While some people prefer to work through their legal matter in mediation, others would rather take their case to court. We only practice family law, and we are in court every single week litigating family law issues. MASSACHUSETTS, NEW HAMPSHIRE AND RHODE ISLAND FAMILY LAW ATTORNEYS We are a domestic relations firm where our primary focus is zealous advocacy for our clients. No matter what your situation is, we are here to help. We handle divorce, custody, modification, contempt and adoption cases all across Massachusetts, New Hampshire and Rhode Island. If you are trying to keep your matter outside of the courtroom we can help mediate you case. Having litigated thousands of family matters in nearly every Probate and Family Court in the Commonwealth of Massachusetts as well as New Hampshire and Rhode Island we are uniquely situated to help bring your matter to a fast and equitable resolution. Is your case currently pending in the Probate and Family Court? Are you tired of being billed by your attorney for listening to voicemail messages??? Do you feel like you're being taken advantage of by being billed $50 or more for sending a one-line email??? If you are frustrated with the way your case is handled, we can help, give us a call and see why we're different. Ask about our police, fire, union and service member discount. Attorney Callahan has been practicing law for over ten years. His primary focus is domestic relations including divorce, custody, modification actions, child support, alimony, paternity, guardianship, adoption, prenuptial and postnuptial agreements. Having been involved in thousands of family law matters across the Commonwealth of Massachusetts he puts that experience to use in every case he handles. Attorney Callahan has litigated matters on behalf of people from every walk of life including fathers seeking to enforce their rights, members of the military, the LGBT community and business owners. "The best part of being a family law attorney is being able to bring some normalcy to people's lives," Attorney Callahan says. "When they come to me, they usually think that it's the worst time of their life and that nothing's going to get better. And then you explain that the process doesn't have to be nasty or difficult and that there's a way to get through it with as little pain as possible. In fact, it's not uncommon to get a hug from a client when their case is over. That's when you know you made a difference." When it comes to dealing with opposing counsel, he added, "I'm very matter of fact and straight to the point, without a lot of back and forth, which often saves clients thousands in legal fees." David Callahan is a graduate of the New England School of Law and Becker College. Outside of work, he's twice finished the Boston Marathon is an avid Chicago Cubs fan and enjoys spending time with his three beautiful children. Attorney Barraco thrives on helping people with complex divorce and family law matters. Attorney Barraco has litigated complex divorce, custody and alimony matters in nearly every county in the Commonwealth of Massachusetts. "I choose to practice family law because it includes so many different disciplines," Attorney Barraco said. "We are dealing with domestic relations, restraining orders, housing issues, business law, tax law and sometimes even constitutional issues." Known for being efficient and effective, Attorney Barraco helps clients look beyond the emotional aspect of their circumstance so they can focus on the pragmatic resolution of their divorce, division of property, child custody, child support or alimony case. "I think it makes things easier and there are better results for the client and their children when emotions are taken out of the equation so cooler heads can prevail," she says. As a breast cancer survivor, Attorney Barraco understands the importance of looking beyond the emotions of the moment when it comes to doing what's best for the future. In addition, she noted, "Having beaten cancer makes me completely unafraid of any situation that lies before me - cancer has given me the ability to fight harder for my clients." 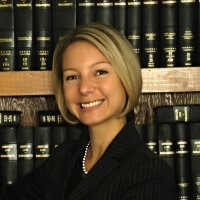 Laurel Barraco is a graduate of the New England School of Law and Northeastern University. Outside of work, she's an avid runner and fitness enthusiast and New York Times crossword puzzler. She represents clients throughout Massachusetts and New Hampshire, in virtually every courtroom. Clients appreciate her compassion and passionate advocacy on their behalf, as well as her commitment to promoting the best interests of the children in each case. She is known for being able to resolve tough custody and parenting issues by developing creative solutions to maximize the children's time with each parent. One of the reasons Attorney Inman enjoys handling divorce and family law cases is because it requires a mix of legal knowledge and creativity. She prides herself on staying abreast on changes in case law, in addition to spending time in local courts to see how the judges handle different cases and issues. She uses this information when working with clients to develop successful strategies and as a result Attorney Inman has earned her reputation as a top-notch divorce and family lawyer who's a force to be reckoned with. When it comes to divorce and family law, few attorneys have the passion and commitment of Attorney Dahlia Habashy Bonzagni. She provides exceptional legal representation for each client, using a blend of compassion and aggressive advocacy on behalf of her clients to help them get everything they deserve. 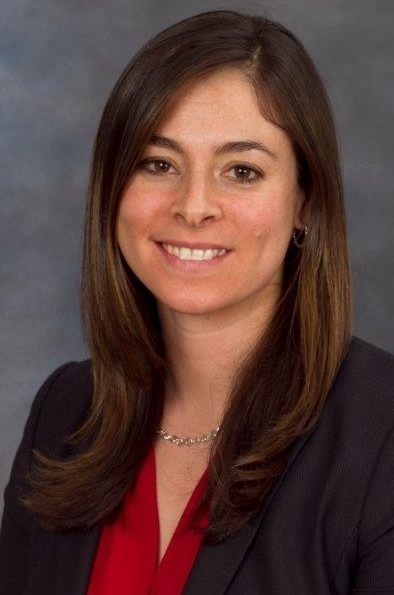 Given her knowledge and experience, Dahlia provides trusted legal counsel as well as skillful advocacy at the bargaining table and in the courtroom. She enjoys developing a relationship with her clients, getting to know them and their families and identifying what's important to them. She then works with them to identify strategies that will lead to the best possible outcome. She has earned her well-deserved reputation as a fierce litigator, one who will aggressively fight to protect her clients' interests at all costs. Dahlia relishes the challenges of divorce and family law cases, whether representing a client for divorce, a modification of a previous separation agreement, contempt, child custody, child support and parenting plans and alimony or spousal abuse. She especially enjoys cases with challenging or complicated issues, such as those involving fathers' rights, high-net-worth divorces and cases affected by the state's new alimony statute. Dahlia Habashy Bonzagni is a graduate of Northeastern University and Suffolk University Law School. She is licensed to practice law in Massachusetts and Rhode Island. When not at work, Dahlia enjoys spending time with her husband, who's also an attorney, their son Benjamin and their dog, a miniature schnauzer named George. She also enjoys cooking and travelling.